On Sunday, February 28, 2016, Pastor Joe Troutman preached “Boldly Approaching the Throne of Grace” from John 14:8-14. We may boldly approach God in prayer if we believe in Jesus Christ, the only Way to the Father, who promises to work through us. 1. The Unity of Father and Son (John 14:8-9)—God the Father shares the same divine nature as God the Son; God the Son, in his human nature—our Lord Jesus Christ—visibly reveals God the Father to everyone, not by his appearance, but by his words and his works. 2. Words and Works (John 14:10-11)— Jesus manifests the Father in his words and in his works because he was perfectly obedient to his Father in every way. 3. This I Will Do (John 14:12-14)— Believers will do greater works than the Lord Jesus because after Jesus’ physical resurrection, their preaching will result by the power of the Holy Spirit, in the spiritual resurrection of people from every nation. Our prayers to this end are according to his will, and will result in his working through us to do those greater works. Listen to “Boldly Approaching the Throne of Grace” (John 14:8-14) at mcopc.org. Christian doctrine matters for Christian living. This is one of the most important growth points of the Christian life, writes Sinclair B. Ferguson. From this starting point, The Christian Life expounds such key biblical themes as grace, faith, repentance, new birth and assurance with clarity and contagious enthusiasm. Christian doctrines are life-shaping, explains the author, because they show us the God we worship. 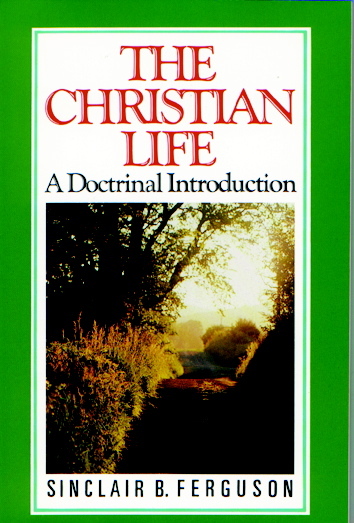 Widely used and appreciated since its first appearance, The Christian Life not only expounds the teaching of Scripture, but outlines its meaning for practical Christian living. It is, as J. I. Packer writes in his preface, theology that is practical, applying Bible teaching with insight and wisdom to the condition of plain people. Christian beginners will get the benefit and the Lord’s older sheep, grown tough and stringy maybe, will find themselves edified and perhaps tenderized too. Dr. Sinclair B. Ferguson is senior minister of the historic First Presbyterian Church in Columbia, S.C., and a distinguished visiting professor of systematic theology at Westminster Theological Seminary in Dallas, Texas. He has been an editor and a trustee with the Banner of Truth Trust publishing house and has been a prolific author. His published titles include The Holy Spirit, Grow in Grace, Let’s Study Philippians, John Owen on the Christian Life, and, for children, The Big Book of Questions and Answers and The Big Book of Questions & Answers About Jesus. Dr. Ferguson and his wife, Dorothy, have been married for thirty-six years. They have four children. Jesus Christ taught his disciples to call God ‘Our Father’, and to live as members of his family. Although simple enough for every Christian to understand this is also so profound that its implications take a lifetime and more to explore fully. Yet, despite Christ’s words and example, Christians have frequently ignored or forgotten his teaching. In these pages, Sinclair B.Ferguson reminds us of its importance. 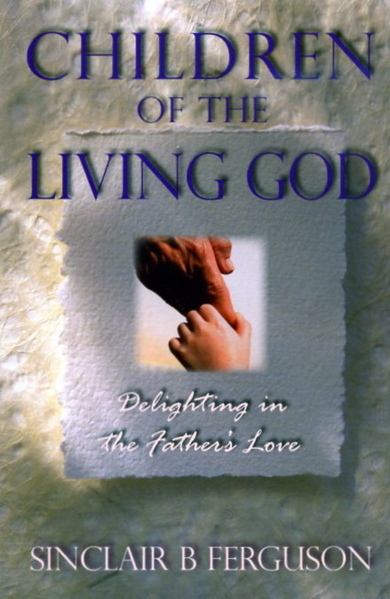 Children of the Living God takes as its starting point the wise and thought-provoking question of an old writer: ‘If the love of a father will not make a child delight in him, what will?’. It underlines that we were created for joyful fellowship with God, and explains how we enter his family by new birth and adoption. Its chapters show how the Spirit of sonship, Christian freedom, divine discipline, prayer and the sacraments all contribute to our experience of the love the Father has for his children. Sinclair Buchanan Ferguson retired in 2013 as Senior Minister of First Presbyterian Church in Columbia, South Carolina, and returned to his native Scotland. 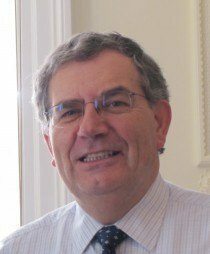 Prior to this he held the Charles Krahe chair for Systematic Theology at Westminster Theological Seminary and served Church of Scotland congregations in Unst (Shetland) and Glasgow (St George’s Tron). He received his Ph.D. from the University of Aberdeen (1971). Dr. Ferguson has authored several books published by the Trust, of which he is a trustee, and a former editor. He retains his position as Professor of Systematic Theology at Redeemer Seminary, Dallas, Texas, and continues to preach God’s Word in churches and at conferences. Sinclair and his wife Dorothy have three sons, a daughter, three grandsons, and three granddaughters.